You can check the log file to see what specific issue caused it. 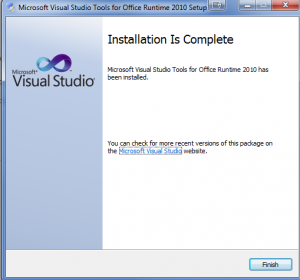 Most often, the missing prerequisite is Visual Studio 2010 Tools for Office Runtime. Once these are installed, the setup is a breeze and will successfully go all the way through. Some other common issues can be found Here. The installation is quick and painless. Just hit Run, Install, wait for it to install, and then finish. Once this is done, attempt to download Seismic Plugin either for Outlook/PowerPoint once again and you should see no more issues. Other issues will be addressed in the link above, as some stragglers may exist.